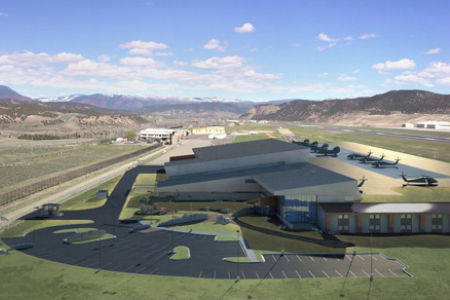 E Cube provided extensive design assistance on a world-class helicopter maintenance facility. Our influence of the design included such areas as radiant heating and cooling of the hangar floor as well as energy recovery units for the hangar ventilation systems. These design recommendations were further enhanced by the use of large de-stratification fans to move high volumes of air at low velocities across the hangar floor to maximize the heating and cooling of the radiant system. These recommendations, by E Cube, furthered the Owner’s desire to reduce HVAC energy consumption, yet still, maintain personnel comfort.